Telecentres are considered to be an important means for providing disadvantaged communities with access to Information and Communication Technology (ICT) enabled services. However, there is a limited understanding of how targeted beneficiaries perceive the roles of these telecentres. Using an ethnographic approach, this paper examines the services offered by two telecentres in Bangladesh. An intervention was initiated that enabled groups of farmers to use mobile phones to access services. 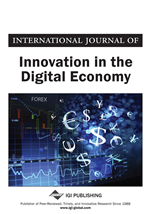 Based on farmers’ experiences and opinions the authors develop a framework which explicates the dynamic nature of use and appropriation of ICT services. There is considerable doubt about the success of top down approach to implementing ICT enabled projects in developing counties (Kirlidog & Aydemir, 2005; Leaning, 2005; Nikam, Ganesh, & Tamizhchelevan, 2004). Local contexts need to be taken into consideration while developing contents and applications. In order to conduct meaningful assessments, it is necessary to know whether or not ICT interventions address the local needs. To show the necessity for this approach and to provide the required background and context, this section provides a brief overview of the agricultural structure in rural Bangladesh and outlines the potential contribution of improved knowledge and information to its development. The contribution of ICTs including telecentres to resolving information problems as outlined in the existing research is then examined. The final part of the section provides a critical examination of the main theoretical models used for the analysis of technology acceptance in the information systems literature. While recognizing the conceptual strengths of these models, it argues for their supplementation by models taken from the social science literature in order to capture fully the dynamic interactions between society and technology.